There are calls for a monument or museum to be built on the site to remember the women forced to stay in the institution in Dublin’s inner city. THE LAST MAGDALENE laundry to close will be converted into houses and sold as soon as the property market improves, according to Dublin City Council. A spokeswoman for Dublin City Council said they “would hope for the site to be re-developed commercially.” She said that this won’t happen until either house prices pick up or a developer wants to buy the site on Sean McDermott Street in Dublin’s inner city. She also said that houses would have been built in 2007, but the deal fell through at the last minute when a developer pulled out because of the collapse in property values. 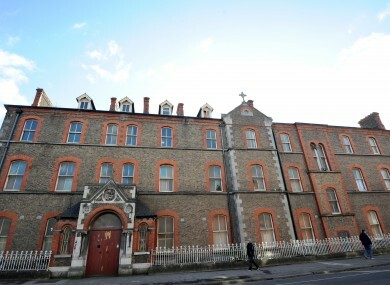 The laundry on Sean McDermott Street, which was closed in 1996, was given to the council by the Sisters of Our Lady of Charity, who ran the institution. In exchange, the council built them a new convent and gave them a 20-year lease on a specially built hostel. The Sisters of Our Lady of Charity declined to comment on any current developments on the site. Dublin City Manager Philip Maguire said at a council meeting that the land was only suitable for building commercial houses on because it is so close to O’Connell Street, and therefore “potentially very valuable”. However he also said that the council would not object to a memorial incorporated into any future developments. Steven O’Riordan from Magdalene Survivors Together met with the central area manager Charlie Lowe in March to discuss what to do with the site. From our perspective it [a memorial] would include a national museum and a monument. He did say, however, that it would need to be “a viable initiative” for the council to support it. They are now waiting on the decision of Judge John Quirke, who will give his recommendation on what should be done with the site. Judge Quirke is also currently considering the claims of several hundred women who have applied for compensation from the Magdalene laundries fund. Depending on the decision, part of the site could be converted into a memorial. The council was unable to say where the money for a museum would come from if it were to be approved. A spokeswoman did say that money in the council was “very tight” and that “it would possibly be government funded”. Two councillors, Lucy McRoberts (Labour) and Christy Burke (Independent), submitted a motion in March, asking for the council to get in touch with the survivors of the laundries to decide what to do with the site. Both McRoberts and Burke submitted an amended proposal that was carried by the city council area committee. The new proposal calls for the site to be developed in a way that “properly recognises and commemorates the women, children and babies born in the Magdalene Laundries”. Burke says that everyone who he talked to about the proposal was in favour of at least a commemorative plaque. The problem with developing a museum is that it would need a huge amount of investment. A memorial plaque may not be considered appropriate [by itself] for survivors of the Magdalene laundries. Dublin City Council expect to hear a decision from Judge Quirke within the next few weeks. Email “Gone for good: Last Magdalene laundry to be converted into houses and sold”. Feedback on “Gone for good: Last Magdalene laundry to be converted into houses and sold”.